Bats. More bats. Screeching bats. More than a million of them. Imagine a cave in an island, filled with bats. Hanging upside down, close to one another, getting restless as the sun is setting. Hovering all over the place. Thats what I’ve experienced recently when I visited the Monfort Conservation Park, in Samal Island. Although known for its white beaches, the island offers this one of a kind place that even locals are not very familiar with. 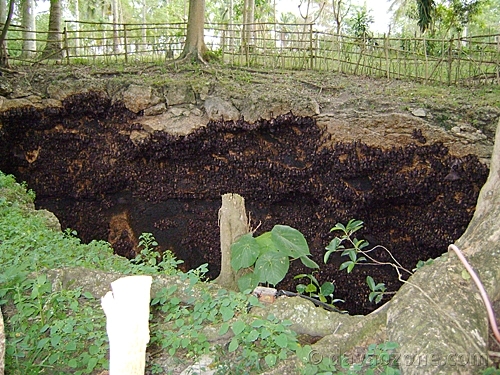 The Monfort Conservation Park is a 24 hectare property in Babak District, Samal Island with five caves that makes up the bat sanctuary. 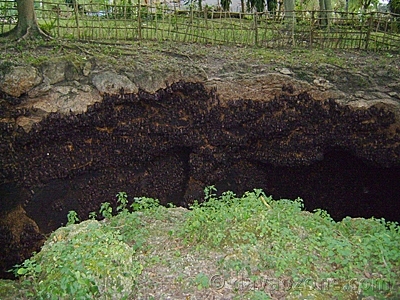 It is the world’s biggest colony of fruit bats – Geoffroy’s rousette fruit bats (Rousettus amplexicaudatus). It just opened four years ago and has been giving tourists a unique experience ever since. Inside, you will see bats all cramped together at the cave walls. There were some bats flying around, others just hanging out (literally), while others scratching themselves. One thing you might notice immediately even before you go near is the foul odor emanating from the caves. I don’t know if it came from the bat’s manure, or simply from the bats themselves. Another thing is the screeching sound (hey, if you live in a place that’s dark and the population is almost two million, who wouldn’t be smelly and screeching all the time?). The park has five caves and each were filled with bats. 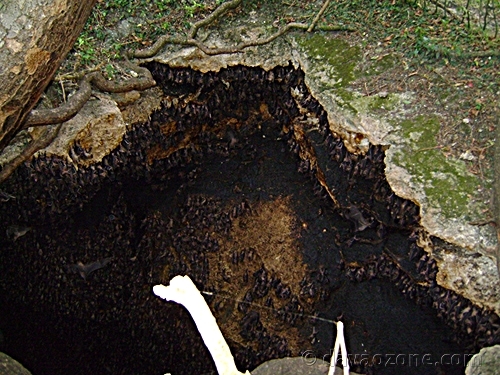 I have never seen so many bats before and it was like a horror movie come to life – bats, caves and nauseating smell in an island. It is only a 20 minute travel from Davao City, and around 15 minutes from Babak wharf. You can ride a motorcycle (habal-habal). The entrance fee is only P20. It is best to visit before sunset. We will going there for vacation, next month .